Will State Leaders Listen Now On Earthquake Emergency? A respected financial services company just recently stated the obvious: Oklahoma’s dramatic surge in the number of earthquakes it now experiences creates major financial risks for homeowners, mortgage companies, and, of course, the oil and gas industry. The practice of fracking is clearly controversial. Environmentalists and local residents have raised a number of concerns, and many within and outside of the energy industry continue to study these issues. We believe increased earthquakes near fracking sites represent a risk that could harm investors across various sectors. Read the word “individuals” in the above paragraph as “homeowners,” who are wondering if the growing number and intensity of the manmade earthquakes are steadily damaging their homes and decreasing their values. Also, who wants to buy a house in an area that gets rattled on a daily basis by earthquakes? Our property values here may well plummet in a downward spiral that could devastate the economy. But at least the oil and gas industry is doing well, right? Well, no. Because of a “boom/drill, baby drill” mentality and just poor planning by industry experts, the nation faces a fossil-fuel glut right now because of the recent fracking boom, which has driven down prices and caused many companies here and elsewhere to lay off employees. But it seems Earthquake Central, OK is getting the worst of it all. Many of the earthquakes are occurring in central and central-north Oklahoma right now. The Oklahoma City area, the state’s most populated, is relatively close to the epicenter of many of the earthquakes. If a major earthquake in the 6.0 to 8.0 range struck near Edmond, for example, the resulting damage would be enormous, and, in all seriousness, would lead to a massive migration from the state. It could even be worse than the aftermath in New Orleans in 2005 of the hurricane Katrina. Just a few years ago, Oklahoma experienced only one to two minor earthquakes a year. Then the recent fracking boom commenced with much media fanfare and spurred on by major state tax breaks, and the number of earthquakes started to rise. A 5.7-magnitude earthquake struck near Prague on November 5, 2011, and the temblors just kept coming. Oklahoma could experience more than 800 earthquakes this year of 3.0-magnitude or higher, which is simply an incredible number in a place not designed for anything close to that much seismic activity. The state actually leads the contiguous United States right now in the number of earthquakes of that magnitude or higher. 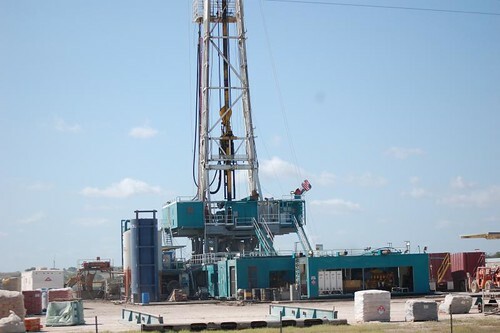 In the fracking process, water laced with toxic chemicals is injected by high pressure into underground rock formations creating fissures that release fossil fuels. The wastewater is then injected by high pressure in other underground rock formations. Scientists have concluded it’s the wastewater disposal or injection well process that is triggering earthquakes along the state’s fault lines. The analysis, which was reported on by StateImpact Oklahoma, clearly notes the risks to homeowners because of the earthquakes.
. . . we believe the potential for property damage from increased incidences of earthquakes may be a liability for the energy and insurance industries, lenders, property owners, and real estate investors. It’s unclear who will be liable in any given circumstance. However, future risks clearly exist. I must note here that I’ve been essentially arguing for years what Standard & Poor’s has now formalized in financial jargon and legalese. This is not to toot my own horn. I bring it up only because the corporate media here, especially The Oklahoman, has been complicit with the oil and gas industry in preventing any real discussion of this serious issue. The clear lesson here: Do NOT trust the corporate media or, I should add, state leaders, such as Gov. Mary Fallin, who receive massive campaign donations from the oil and gas industry, especially on this issue. It’s long past time to prepare.